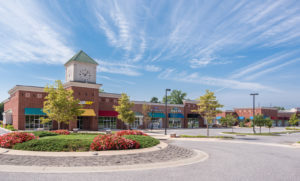 BALTIMORE, MD (April 2, 2019) – JDL, LLC, which holds franchise rights for Steak ‘n Shake restaurants throughout Anne Arundel, Baltimore, Harford and sections of Howard County, has signed a lease with St. John Properties, Inc. for approximately 2,100 square feet of space within Greenleigh at Crossroads, a 550-acre mixed-use community situated in the White Marsh area of Baltimore County. When the national chain opens this summer at 750 Concourse Circle, it will mark the first Baltimore County location for the counter-service restaurant recognized for its steakburgers and milkshakes. 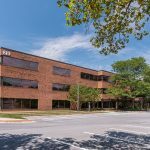 Bill Holzman, Vice President, Retail Leasing for St. John Properties represented the landlord and Sean Langford and Tom Mottley of The MacKenzie Companies represented the tenant in this transaction. 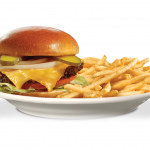 JDL, LLC plans to open two new Steak ‘n Shake restaurants per year in the Baltimore metropolitan region, adding to the Greenleigh at Crossroads location and the site located on Veterans Highway in the Millersville section of Anne Arundel County. 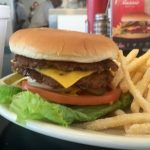 Founded in Iowa in the mid 1930s, Steak ‘n Shake features its classic Steakburger, together with the Prime, which is constructed of a blend of brisket and chuck beef, in addition to specialty sandwiches which include Portobello mushrooms, western barbeque or Cajun sauce among others. Hand-dipped ice cream is utilized to create the milkshakes with more than twenty varieties available including Reese’s peanut butter cup, Oreo cookies and cream and Nestle Butterfingers. Steak ‘n Shake began as a sit-down restaurant but added a counter-service style in 2010 as well as a drive-through window, which will be included in the end-cap space at 750 Concourse Circle. More than 600 locations are currently open globally. 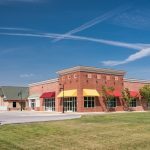 750 Concourse Circle is a 17,000 square foot retail building offering direct access to MD Route 43 (White Marsh Boulevard), in which more than 27,000 vehicles pass the site on a daily basis. Existing retailers include Michael’s Café, Dunkin’ Donuts, Thai Rainbow, The UPS Store, Polishes Nail and Spa, Mallia Salon & Spa, Crossroads Wine and Spirits, and Subway. More than 40,000 people reside within a three-mile radius of the site with an average household income approaching $82,000. 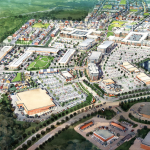 St. John Properties, together with Somerset Construction Company and Elm Street Development, are currently developing Greenleigh at Crossroads, which represents the next development phase of Baltimore Crossroads, a 1,000-acre mixed-use community. 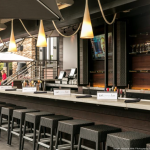 The concept plans consist of 1,900 residential units including single-family homes, townhomes and multi-family units; more than 1.76 million square feet of commercial space and retail amenities; and a 120-room SpringHill Suites by Marriott. Upon final completion, Baltimore Crossroads is configured to support more than 2.5 million square feet of space.